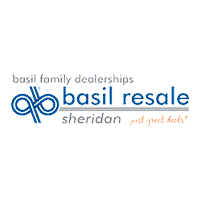 Welcome to the Basil Resale Sheridan Finance Center! Simplify your buying or leasing experience! At Basil’s Finance Center “Customer Service” means making your experience with us as fast, easy and enjoyable. Our finance department is open 7 days a week to meet your needs. We aim to provide you with great customer service by offering the best tools and features online. Complete the quick and easy credit application and submit online. A Basil Credit Support Specialist will contact you when we have received and reviewed your application. Upon approval, you will meet with a Finance Manager to select the finance program that best suits your needs. With a simple 3 step process, you can experience the ‘Basil Difference’ and drive away in a new vehicle today! If you have a question on a specific vehicle ask us here!